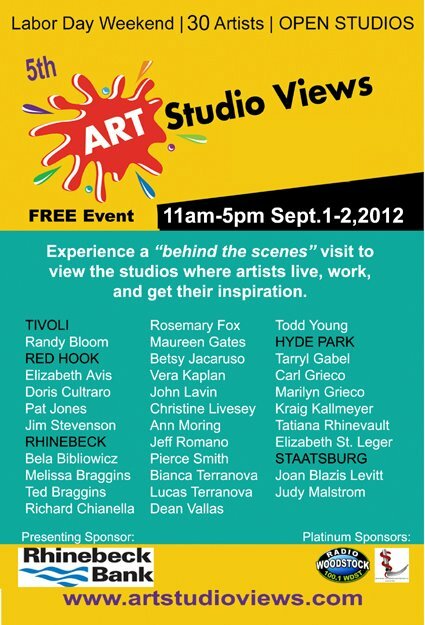 The 5th annual Art Studio Views open studio tour takes place Labor Day Weekend, September 1 & 2 from 11a-5p. Visit 30 artists from Red Hook, Rhinebeck, Hyde Park, and Staatsburg to experience the studios first- hand and discuss the artwork directly with the artists. What “wood” you do with a box? That was the challenge posed to the Art Studio Views artists this year. The ART BOXES can be seen on our website and in shop windows. The ART BOXES are being sold through an online auction to benefit the Vassar Brothers Medical Center Pediatric Unit’s Oncology Arts Program through Sept 2nd. ← DUTCHESS FAIR FOOD DRIVE – YOU CAN HELP!